In the construction context (and others), it was - and is - fairly common for the parties to try to allocate the risk of lawsuits to the ones bearing the greatest responsibility for the work being done. Using this example, that would mean the property owner or developer would try to pass that risk from them (who aren't doing the work) to the general and subcontractors actively involved in the labor. New York's legislature saw a problem with that, however. "[P]urporting to indemnify or hold harmless the promisee against liability for damage arising out of bodily injuries to persons * * * contributed to, caused by or resulting from the negligence of the promisee, his agents or employees [emphasis added]". "[A]n agreement purporting to hold an owner or a general contractor free from liability for its own negligence undermines the strong public policy of placing and keeping responsibility for maintaining a safe workplace on those parties (see, e.g., Labor Law §§ 200, 240)." But the analysis doesn't end there. "An agreement to procure insurance is not an agreement to indemnify or hold harmless, and the distinction between the two is well recognized (see, Roblee v Corning Community Coll., 134 A.D.2d 803, lv denied 72 N.Y.2d 803; Grant v United States, 271 F.2d 651, 655-656 [2d Cir]). Whereas the essence of an indemnification agreement is to relieve the promisee of liability, an agreement to procure insurance specifically anticipates the promisee's "continued responsibility" for its own negligence for which the promisor is obligated to furnish insurance (Hogeland v Sibley, Lindsay & Curr Co., supra, at 161; see also, Board of Educ. v Valden Assocs., supra, at 657; 4 Appleman, Insurance Law and Practice § 2261). "Moreover, this particular distinction is what renders indemnification, but not insurance-procurement, agreements violative of the public policies underlying General Obligations Law § 5-322.1. While an agreement purporting to hold an owner or a general contractor free from liability for its own negligence undermines the strong public policy of placing and keeping responsibility for maintaining a safe workplace on those parties (see, e.g., Labor Law §§ 200, 240), the same cannot be said for an agreement which simply obligates one of the parties to a construction contract to obtain a liability policy insuring the other (see, Board of Educ. v Valden Assocs., supra, at 657; Hogeland v Sibley, Lindsay & Curr Co., supra, at 161)." Make no mistake about it; the distinction between a hold harmless clause, and one that requires the other party to secure additional insurance on your behalf can be huge. In some cases, it can mean the difference between being protected under New York law, and being left holding the bag when litigation comes down the pike, especially if your indeminfication clause is unenforceable as a matter of law. New York's courts have been unequivocal in noting that just having your name listed on a declaration sheet for an insurance policy will not be sufficient to require the insurance company to defend or indemnify you. 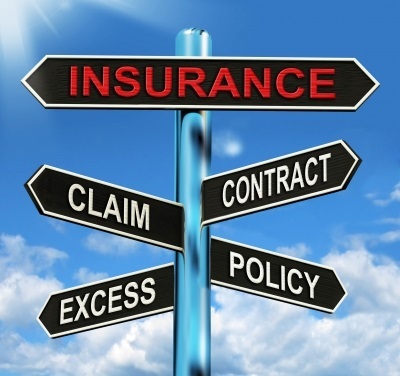 You must be actually listed and named as an additional insured on the policy itself. Post a Comment to "When Hold Harmless Clauses Will Be Voided By New York Law"